Ya know I’m not an expert at Unreal but I can share some stuff with you that I have learned and I think is maybe somewhere near right. Being a newbie in the game is like the first time you went to school or learned to ride a bicycle. It takes total concentration, sweaty hands, spinning head and dizzy spells are normal. Hand cramps and nightmares are sure to follow. You wonder how does this player or that player moves so fast? How did he shoot off my head from the other side of the map? I know you feel like they are cheating. How can anyone be that good? Well lots and lots of practice and natural ability is how. But I have a scoop for you, anyone can get better at Unreal if they play long enough. Progression as a player seems to go in steps. You may find that you may go weeks or months without significant improvement and all of a sudden your skill level jumps dramatically. Let me put to sleep an Unreal myth. The myth that you cannot be a good player on a dial-up connection. This is absolutely false. Some of the best and deadliest players play on dial-up. So that is a lamers excuse. If your ping is below 400 you can play and use your high ping to your advantage. Ping, what is ping, well I am going to guess. Ping is measured in milliseconds. One millisecond is one thousandth of a second. A ping of about 99 means your action in the online game takes about a 100 milliseconds to shoot and see the results. In the case of ping, low is good. To see your ping in an online game just hit the F1 key and you will see a list of players with every ones ping displayed. Well you will quickly figure out how low ping helps in online gaming and soon be desiring a broadband connection. But remember what I said, dial-up can be deadly. One can use the delay to ones advantage and make a very good show in the game. You ever play Maxxi, Suicide Sid, Firebird or Defiance? All are on dial-up. Now many of us play bot matches for months prior to working up the courage to get online and play real players. Yes this is good practice, but it’s not the same as real people – real people are sneaky. I suggest you just get on and die like the rest of us. After months of bot matches your still going to die when you first get online. There are many things that I think I have learned that I would like to tell you. There are game settings that make the game better online and there are online rules and etiquette that you need to know. There are tricks and hidden spots and stuff in the maps. How do you find this stuff out? You play a lot, die a lot, and watch others. Don’t shoot the wimpy dispersion pistol when you spawn unless you have a death wish or have played long enough to know the consequences, And don’t shoot other players while you have spawn protection in force. Never use invisibility; yes I know it’s on the maps, unless you want to be called a lamer don’t use it. Most good players don’t use the damage amplifier. We leave this for the newbies, and for when I really want to kill someone so bad I can taste it. I never claimed to be a good player, just sneaky. To type a message you hit the letter T and type away, it comes on the screen in the lower left corner in green type. When you get the message typed you hit enter and send it. Hmmm all those messages at top in red are from the game server and the green ones are from the players. OK during the typing time, your gonna sooner or later get a gobly gook of scrolling white numbers rolling up in upper part of the screen blocking your view and making you unable to read the players typed messages. Now what did I do? Well some how, with your great typing skills, you hit the letter O before you hit the letter T. This fires up this worthless streams of data, near as I can tell worthless, and causes one to say bad words and to the unknowing player leave the game, restart and rejoin to get rid of the garbage, which in Unreal Gold creates ghosts of players past. OK here is the answer, pay close attention it’s very hard. Hit the letter O again and the stuff stops hehe. If you’re going to type it is suggested you do one of the following things. Face the wall or feign death or hide. Feign death what is that? I don’t need to fake it. I am always dead enough that I have plenty of time to type. Well if you hit the F key, you will fall down and look dead. Now here is another chance for lamers. They play dead and then jump up and shoot you in the back after you go by ….once! Then you hunt them and hunt them and hunt them. My advice is don’t do this if you don’t want to be called names. Don’t whine if you get killed while typing unless it becomes chronic and deliberate. No one likes whiners either. OK let us talk about spawning. Spawning is when you come alive in the game either when your first joining a game or have been killed or fragged and have hit the fire button to come back to life. At this point I would like to suggest that you hit the fire button only once or twice to respawn. This is why. Usually we won’t shoot players that have just spawned with a dispersion pistol or magnum unless they shoot at us. You want to get fragged just keep blasting away with it and some one will certainly accommodate you. Once you get a real gun you are fair game though. Most players won’t hang around watching you till you do get a gun and then blast you. This is a lamer, and worse than spawn killing. Most skilled players will just move on passing you by and shoot you later. You in token should not shoot a player in the back who just passed the opportunity to really whack you when you were basically defenseless. Another suggestion get weapons, ammo, armor and health. Get them all the time. If you have a weapon you want to get rid of, and its not out of ammo, you can throw it down. Hit the colon key: and the weapon you are holding will be thrown. Here is a cool thing to do that dazzles people and it’s easy. Juggle your weapons. Face straight up and hit the Colon : key repeatedly. If your facing straight up weapons will be thrown straight up in the air and fall back to you. This looks very cool but guaranteed to get you shot while your facing up. But worth the risk as it dazzles players that don’t know how to do this marvelous feat. Impress them with your knowledge of the game. OK what’s next? I am rambling. Let’s talk about setting up the game. Elsewhere on this site you will find a small document from me telling you some basic settings for Unreal. Get it and do it, trust me. It will help your game. Unreal out of the box is not optimized for online gaming. You can set up the keyboard to use what keys you want for forward, backwards, strafe sideways, crouch and jump and all player movements. This is a matter of personal choice and I included in “setting Up Unreal” my setup. But whatever makes you happy set it up that way. Now every weapon has two fire modes. If you followed the suggested setup the mouse left button will be primary fire and the mouse right button will be secondary fire. To discover the difference you need to play around with primary and secondary fire of each weapon and then ask an experienced player for help in figuring out what they do. Another thing I want to tell you about is dodging. If you hit the key you selected to go forward two times fast you would leap forward. This works in all directions. And works for dodging opponents shots. It also can get you from one location to another just like a jump does. Dodge left, crouch and fire is very effective but takes practice. In the key set up you selected a key to activate items. This key you hit to turn on the jump boots, flashlights and the like. What are jump boots? Jump boots make you jump like superman. Simple. What is a King Of The Hill Server Anyway? King of the hill is a variation of the standard death match. The King glows very bright red and is quite visible and it is also very difficult for the king to hide. In the beginning part of the game the first player to make a kill becomes king and gets 6 kills for getting the first kill of the game. As long as you are red and King your weapons have 2 times normal hitting power and thus the king can kill a player with one rifle shot. The object of this variation is to kill the King and that is the same as 6 regular kills. There are lots of different strategies to win at the KOTH match. The main one is to become King 6 times and you win the match. It always amazes me how the King can be next to OLDSPARKY-(DOG)- and players will shoot me rather than the King. You may want to think about strategies like letting the weakest player kill you when you are king and then rapidly kill him to gain 6 points. Lots of ways to play the KOTH, and a newbie can get in a lucky shot and win the game. Another useful hint is when you are on the edge of something and don’t want to fall crouch. You wont fall while crouching. You will see players in various high places on a map and the map may not have jump boots. Now how did they get there? It a thing called an 8-ball jump. To complete this jump you must have 200 health and armor and a shieldbelt if possible. You fire two eightballs directly in front of you and it will propel you up and back. Takes some practice but it is frequently used especially on DmTundra. Warning, do not use more than two eightballs or try this when King. If you are King the 2x power of weapons makes you explode. There are two main firing patterns for the eight ball gun. The one that all players use the most is to crank up the primary fire and send a stream of rockets headed Old Sparky’s way. The other is secondary fire and lobs a bunch in Old Sparky’s direction. Well that isn’t all there is to it. If you notice that when you wind up the primary fire or left mouse button the 8 balls are launched in a horizontal pattern spread out which enables OldSparky to slip by in between them. You can launch a cluster pattern where all the 8 Balls are in a group. You do this by winding up the primary fire left mouse button like before, but while its winding hold the secondary right mouse down too. You mean both mouse buttons. Yes first the left/hold then the right/hold. This yields a cluster of 8 balls in a tight circle pattern. This is very effective for moving campers out of a favorite spot. When you are engaging a player with the eightball gun like on DmMorbias fire your weapon in front of the opposing player at his or her feet. Well there is so much I would like to tell you but this would go on for pages. Maybe I will write some sequels if there is a request. Never stand still, Keep moving. Don’t shoot newly spawned players. Don’t shoot people who are typing. Get lots of guns ammo and health. Have lots of fun and play with style. The use of the keyboard and controls becomes automatic after a time. You wont have to think jump, turn, shoot or crouch. It will be an extension of your body and you will do it automatically while adjusting to the game conditions. Don’t be afraid to ask for help. We all began as newbies and made the same mistakes as you and its easy for us not to remember that we once were newbies to. Don’t let one player who is a lamer run you out of playing this game. Talk to a -(DOG)- clan member if you have a problem – We want to help. Read the help and tips on this website and go to the other great websites listed in links. Some more things that I have learned and think they are correct. This is for us computer dummies that don’t write script or understand how a computer works. This assumes you know how to use windows explorer and how to find the Unreal or Unreal gold folders on your CD drive. One very basic thing is with Unreal and on-line gaming is you want your computer to be running as few processes or programs as possible. If you have a slug of icons on the right side of your taskbar this is not a good thing. These are running processes and are using system resources. I suggest you have as few running as possible, so shut them down. The icons on the left side are shortcuts but the ones on the right are running. This is true of all applications you run not just Unreal, It can make your computer slower than normal. It is also a good idea to download and run SpyBot Search and Destroy to rid yourself of unwanted spyware on your computer. Make sure you go to C: drive in control panel once in a while and right click on the C: drive; select properties and disk clean up. Clean up the temporary files, history and cookies on your computer. I recommend you defrag your computer often. You can right click on Internet Explorer and select properties and this will reveal a way to delete temporary files and cookies and clear history. I run AVG anti-virus and Zone Alarm firewall here. They seem to not affect the game as long as automatic updates are turned off. The windows help files included with your operating system is very intelligent so don’t be afraid to ask it stuff. Let’s talk a bit about the Unreal files on your drive. If with windows explorer you open the Unreal gold folder you will see several folders within. Probably should see cache folder, maps folder, system folder, sounds folder, music folder, help folder and maybe a save folder. All files should be inside folders when you open the Unreal gold folder, nothing outside the folders. What you see beside folders are failed download cache files where the server changed maps or you got disconnected during a download. Later you will understand enough to determine if you need these loose files and where to put them. To help you understand this and how to put in maps skins and stuff lets talk a little about the Unreal files. When you install Unreal from the CD you get standard Unreal files and these folders. You know like the standard Coop maps and DM maps for Unreal. A standard map is like maybe DmDeck16. Of all the folders in the Unreal folder, only one folder should have a sub folder contained within. If you open the maps folder you will see maps and an additional folder called “upak”. That is correct but all the other folders in the Unreal gold folder should not have any sub folders in them. If they do you need to open them and place the files within in the proper Unreal folders. Do not mess with the upak folder, it is ok. The maps for Unreal are unr files and look like this. DmDeck16.unr. The .unr indicates a map and goes in the map folder. The files for textures are utx files and go in the textures folder. For example “Wall.utx” would tell the game to put a certain finish on a wall in a certain place. The files for sounds are uax files and go in the sounds folder. For example “SqueekyDoor.uax” would be a sound of a squeaky door. The files for music are umx files and go in the music folder. For example “SparkyBoogie.umx” would be a song for a certain map where the background music is SparkyBoogie song. The most complex and difficult, maybe I don’t understand them is the int and u files. These are files used by the game engine to produce objects and skins and stuff. All files ending in .u or .int go in the system folder. Word of advice don’t mess around in the system folder if you’re not Bill Gates because if you mess up here the game won’t run. OK so what’s the point of all of this. Let’s continue, if you open the maps folder, you will see all files ending in .unr and one upak folder. Anything else doesn’t belong in here. If you open the textures folder all files will end in .utx. Right click in the folder and tell it to arrange icons by type and it will sort them for you. But the only thing you should see here is textures. The same hold true for the sound folder, all .uax files and the music folder all .umx files. So get the right files in the right folders. The system folder has many types of files in it and I suggest you stay out of it unless you are on a mission. Let’s talk a little about the server and client relationship. (Client that’s your computer). When you open the all serverlist and select a server to join and double click, you the client attempt to connect and log in to the game server. Now this will not be 100% accurate for you computer wizards out there but we are dummies remember. 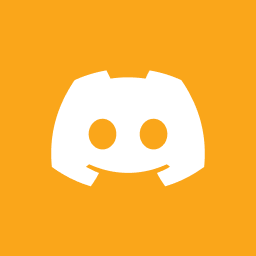 The server basically takes an inventory of your maps, sounds, textures, skins, music and all files to see if you are a valid game and if you have the files necessary to join the server. If you are missing files it sends them to you in form of a download. Let’s explain skins right now. It\’s neat to go out find some cool skins get them downloaded and then finally installed and working and I looks really cool in my new threads. Join a server and find out my skin don’t work Whhhhyyy? OK all Unreal players get certain skins when you install Unreal. For example you get Dante3 skin and you can use that on all servers because all clients have Dante3 and see you as you are. For your new super skin to work it must be installed on the server too. Then all players must download it so they can see you in your new threads. You have to convince server owners to install your fancy skin on the server and since these increase download and bandwidth used, lots a luck. Most servers, mine included have a standard skin package that is installed for all to use. Pip skins are installed on sickpups. I have special custom skins installed for special people but am reluctant to increase the already overwhelming download of skins required just to join the server. Now when the server inventories your files and finds you don’t have the skins textures or other files for the map playing it sends you the files and your game puts these downloaded files in the cache folder. Soon as you get all the files you need to play in the game and if you pass the cheat detectors you are allowed to join in the game and the fun begins. If you open the cache folder you will find these files have a computer number and the files are .uxx files. Uxx files are cache files and you can’t use them offline unless you perform some magic and rename them. I suggest you find the TCP clan site and look at TCP wolfs stuff if you want to know more about the cache files. But you can’t play them off the server or use the skins as long as they are cache files. Also all those hours spent downloading the files for special servers are deleted by default settings in Unreal every 30 days. You need to find purge cache in the game engine settings in advanced options and set it to 0 days. How do you get to advanced options? In the opening fly-by type <TAB>preferences and find game engine near the top. Ok let’s continue rambling. So if you look at all those extra files when you open the main Unreal folder, the ones beside the game folders and right click and get properties you will see most of them are failed download files headed for the cache before they failed. They will be .uxx files and you may as well delete them because they are useless. So here is a tip that will make you a favorite player to server operators. Go to the maps sites download maps and install the files in the proper folders so you don’t use our bandwidth downloading files. We don’t expect newbies to do this but older experienced players should be getting the maps on the servers you play on and installing them in your game. There are many sites to get the maps from. Another thing, that a lot of people haven’t been told. When you open the maps folder the maps should show as Unreal Icons. If they don’t right click on a map and select open with. Find the Unreal.exe in the list or add it as a new one by navigating to the Unreal gold system folder and find the start icon in the folder. Then all your maps in the future will appear as Unreal icons and you can start a map by just clicking on it in the map folder. Goal of all this is to clean up your Unreal install and properly maintain your Unreal files. Did you know you can take a screen shot during the game? Just hit F9 and you just took a picture. If you look in the system folder for Unreal you will find these files in there and you should periodically clean them out or move them to a special folder out of the game. Some time, some way your Unreal is going to get corrupted and you are going to have to re install Unreal. Ohhhhh noooo,, you say my downloads, my skins. I hate that. Here’s a tip for you. On your desktop or somewhere on your computer right click and make a new folder and call it my Unreal settings. Then with windows explorer navigate to the Unreal system folder and find two files. Find user configuration settings and Unreal configuration settings. These are usually about 10KB and 40Kb respectively. Right click and copy and paste these files to your newly created folder. Then if in the new folder you open these with notepad you will find all your personal settings that you went to so much trouble to set over the time you have been playing. A word about uninstalling Unreal. If you uninstall the game and then check with windows explorer you will find your folders are still there. The only thing Unreal uninstall does is to remove the files that were installed by the original CD install. All files you have added and stuff you downloaded remain on the hard drive. The files I had you back up above are part of the original install so they will be gone. Now if you suspect serious corruption it might mean that you may have to delete these folders, but only as a last resort. I have found that un-installing Unreal and re-installing will usually fix most problems without having to delete your custom maps, cache and stuff. After you re-install, copy and paste the two saved personal files into the system folder and overwrite the files the CD just put in and your settings, key binds and favorites will all be there. You can re-install Unreal in about 5 minutes this way and I do it often to keep my game running clean. So you want to make your own server? This seems to be everyone’s desire lately. Its really not too difficult to make a server. Just a few steps and your finished… This amazes me how all players want their own server until they find out how much of a pain it is. Well may as well get it out of your system. First some basic facts. You must have a good connection. Most cable and dsl lines will support a standard server without custom files. If you run maps outside of the Unreal game itself or install fancy skins, your server will be plagued each time a new player joins with undesirable lag in the 1000 ping range. If you want to be running custom maps or skins you need to be hanging on a T1 like connection or rent server space on a gaming server setting on a fiber somewhere. 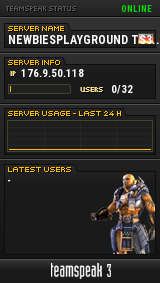 Most of the home type servers are limited to 4-6 players. Unreal Gold is not the choice to make a server from. Just don’t do it. Get old Unreal and apply patch 225f, not patch 226 but 225f. In order to set up a server you must set a bunch of things in the Unreal.ini file. I am putting one here that is set up to make a basic server run on a home type of connection. You should study this and make your file similar. If you don’t have a firewall and your not blocked from to and from traffic by a router an Unreal 1 installation with patch 225f and this ini file should run and show on the all server list. The network max tick rate (set to 1 in this file) can be increased to as much as your network connection can stand, but if you get it too high the server will drop packets. Increasing network max ticks lowers pings. If you run the server and play on the same computer on a average broadband computer, lots of luck. It works but it lags. It doesn’t take much of a computer to make an unreal server. I have made many on a simple motherboard with a 500 celeron processor. You don’t need a good video card or an audio card as you run a server in a dedicated mode and it only shows as an icon in the taskbar. Keep your windows installation as simple as possible. Do not have unnecessary files on your server. You can use a virus program like AVG anti-virus that doesn’t run all the time or use up system resources. The more ram the better in the computer but I have ran servers successfully with 128 mb of ram. If your running behind a fire wall TCP WOLF has a excellent paper on what ports you have to open and you can find stuff on www.oldunreal.com as well. I will try and add to this as I can and things that need to be covered are discovered. Contact OldSparky-(DOG)- if you require a sample Unreal.ini configuration script. Which is your FAV server? SCREENSHOTS • The 849,000th Tentacle hat? If your new to the game, read Sparky Rambles on the left. There are three pages and includes talking about running your own server. We are seeing some Newbies on the Server, Are you offering help and showing patience? Play with Style and help others. Remember during your busy life, those from our unreal community who have health or real life issues. Check the thread in the forum to find out who is having a hard time right now and who has successfully passed over a life mountain. There are always those with problems who need our help. © 2019 NEWBIESPLAYGROUND - home of the -(DOG)- clan.